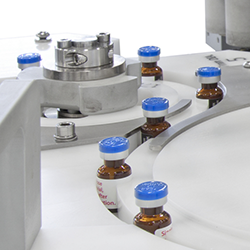 Orienting bottles for proper conveying and filling, the omni-line orientors increase production and reduce manual operation needs. Welcome to Pace Packaging’s presentation of our omni-line BAO 5000 bottle axial orientor. The orientor is shown with an omni-line 400 unscrambling system. The BAO 5000 is seen running 20-ounce HDPE trigger bottles at 125 bottles per minute. The bottles enter the BAO in random neck leading and neck trailing configurations. 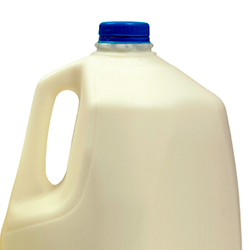 The bottle position is sensed by photo eyes. Correctly facing bottles pass through the orientor. 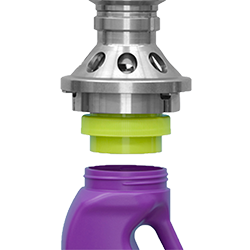 Incorrectly facing bottles are turned 180 degrees then a pad engages the bottle neck to contact the rotating turning belt. This turns the bottle to the correct orientation. 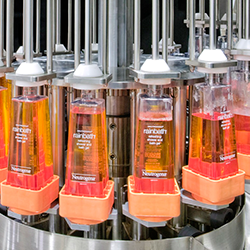 The bottles are then transferred to the customer’s conveyor for the next process in the production line. Here we see different types of bottles running through the BAO 5000 bottle axial orientor. Some important features on the BAO 5000 are the new easily changeable, high density, poly-ethylene bottle guides. The new bottle guides eliminate tooling adjustments and are easily changed in a matter of moments, reducing machine downtime and eliminating unwarranted tooling changes. Pace has been very successful with its omni-line BAO 5000 bottle axial orientors within many industries. There are many machines operating in household chemical, petroleum, automotive, personal care, beverage, and food product plants all around the world. We look forward to the opportunity to work with you.